Poteau, OKLAHOMA - Enes Kanter, a former Oklahoma City Thunder player made a visit to the Boys & Girls Club of LeFlore County on Monday, July 9, 2018. Kanter is a Turkish professional basketball player for the New York Knicks of the National Basketball Association (NBA). He is 6 ft 11 in tall and plays at the center position. 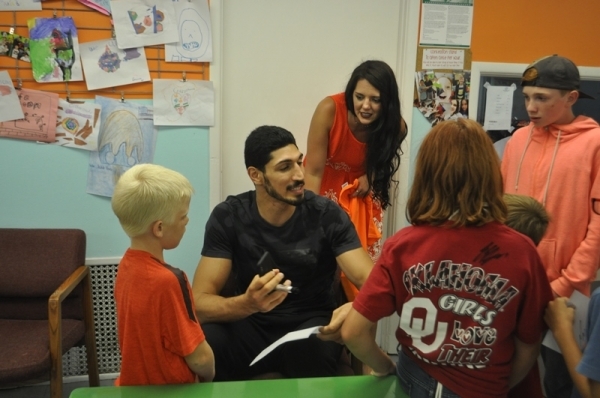 Kanter spent most of the day with kids at the club and visited with people around the area.